True to their name, Baby Boomers are creating an RV travel “boom” that has helped the industry grow more rapidly than before, according to RV Registry, helping to connect RV sellers with potential buyers. The Alliance for Aging Research reports that another Baby Boomer turns 50 every seven seconds, which amounts to more than 11,000 new 50-year-olds every day. As reported by Examiner.com, Sharon O’Brien of About.com’s Senior Living section adds that one of the first things many of these aging Baby Boomers do is rush out and rent or buy an RV. According to a 2001 study conducted by the University of Michigan, ownership of RVs in the United States is skyrocketing, and the Baby Boomer market is one of the primary reasons for the increase. The survey found that more RVs are owned by Baby Boomers than by any other age group. It also found that Baby Boomers are also the fastest growing segment of the RV market. RV Registry adds that Baby Boomers tend to pick RV travel for several reasons, including that having one creates new experiences. It also teaches a respect for nature, according to O’Brien and helps bring the family closer together. As O’Brien mentions, 16,000 campgrounds nationwide cater to RV travelers. Many of them offer amenities such as swimming pools, recreation centers, evening entertainment options, snack bars, and camp stores. Note by Ron Sleight, Publisher, Compass Marketing Group, LLC. 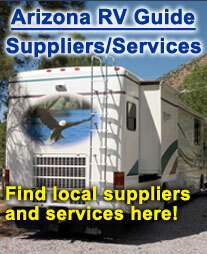 : In Arizona, we are experiencing a new type RVer – the Baby Boomer, along with snowbirds and in-state RVers. They are purchasing RVs at a younger age to enjoy outings as “empty nesters” or with families, taking shorter trips closer to home, or longer outings regionally. What’s important for RV parks in Arizona is not to promote “55+” residency, limiting occupancy to the diminishing mature RVer. Instead, marketing should state “age restricted”, opening the door to the middle aged RVer. RV parks with age restrictions are allowed to rent a percentage of their spaces to this age group.